Why is Moisture in My Home or Business a Problem? Excess moisture in your Gastonia, Lake Norman or Hickory home or business can easily lead to much bigger problems – this is how mold and mildew occur, both of which are known to cause potentially serious health problems in inhabitants. It’s therefore crucial to pinpoint the source of your moisture and come up with a long-term, effective solution for addressing your individual moisture issues! This is where AdvantaClean of Lake Norman, Hickory and Gastonia's professional moisture control services come in – our team is highly skilled at providing successful moisture eradication strategies, no matter the specific source or cause. WHAT ARE SOME OF THE MOST COMMON AREAS FOR MOISTURE TO OCCUR? In the event of faulty ventilation, moisture can immediately become trapped – which is why so many Lake Norman attics contain moldy areas and mildew growth! The AdvantaClean team is happy to help you address the root of your attic moisture issues, and successfully implement proper ventilation and other effective solutions. 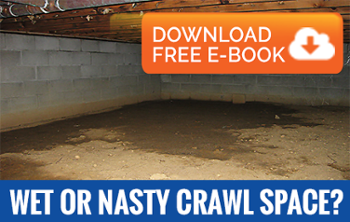 Crawlspaces are notable hotbeds for unchecked moisture growth. Many Hickory and Lake Norman crawl spaces have poor ventilation, exposed earthen floors, and are hard to get to – making them the perfect spaces for moisture to grow and develop into mold. Implementing proper grading, waterproofing systems, and other corrective measures will help ensure that crawl space moisture does not become a serious problem in your home or workplace. WHAT IS THE TYPICAL PROCESS FOR MOISTURE CONTROL AND REMOVAL? Here at AdvantaClean of Lake Norman, Hickory and Gastonia, we’re able to diagnose your moisture problem in record time – once the source of your moisture growth has been established, our team will work tirelessly to implement the proper corrective actions to ensure that your home or business stays free of mold and mildew! Call Us Today – (980) 222-0170!